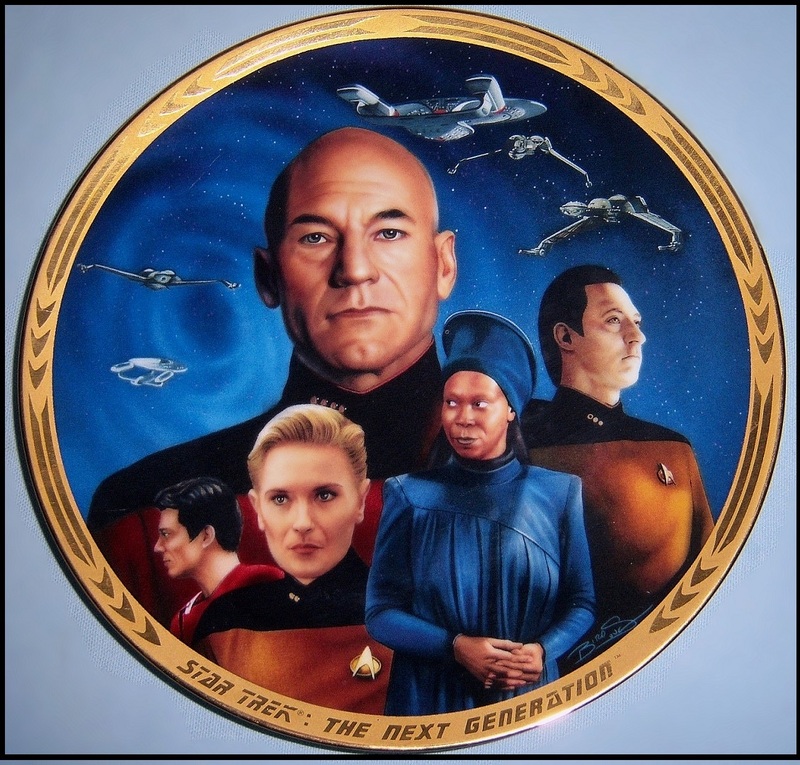 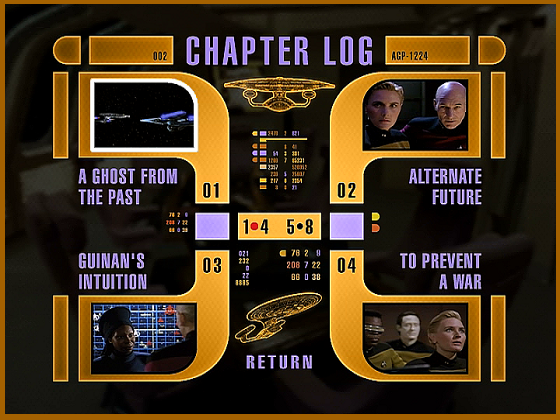 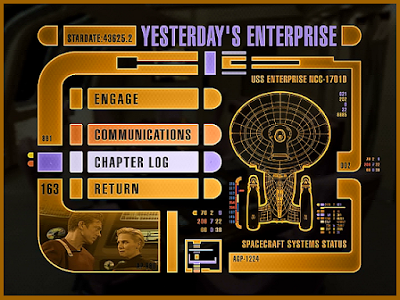 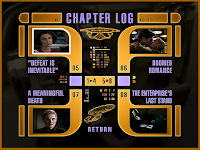 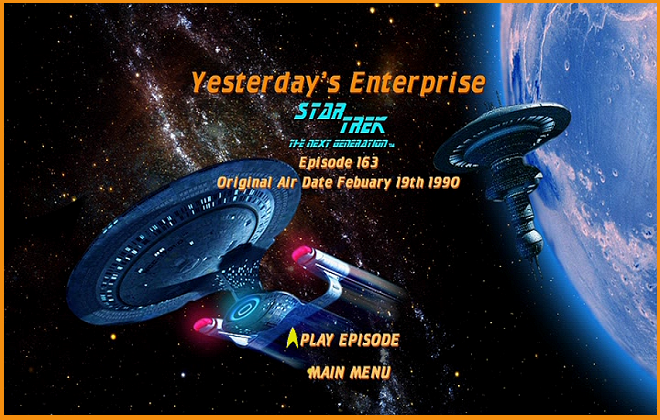 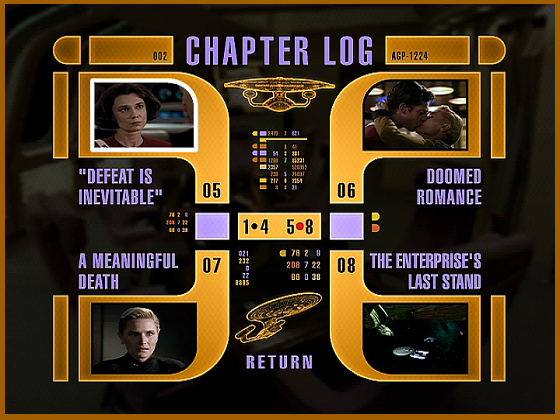 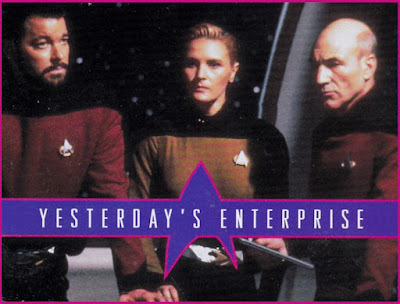 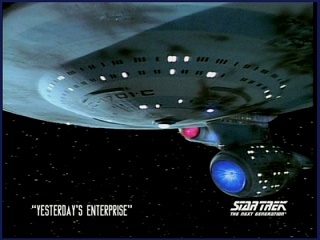 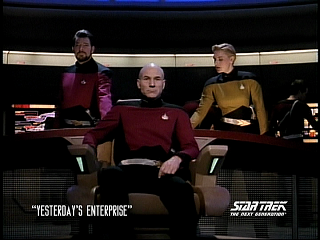 In "Yesterday's Enterprise" the crew of the USS Enterprise-D must decide whether to send the time-travelling Enterprise-C back through a temporal rift to its certain destruction in order to prevent their own disastrous timeline from ever occurring. 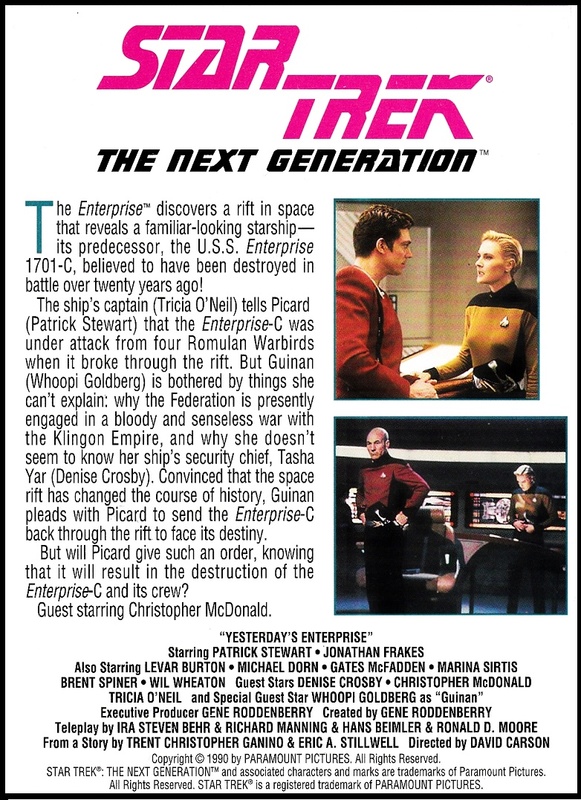 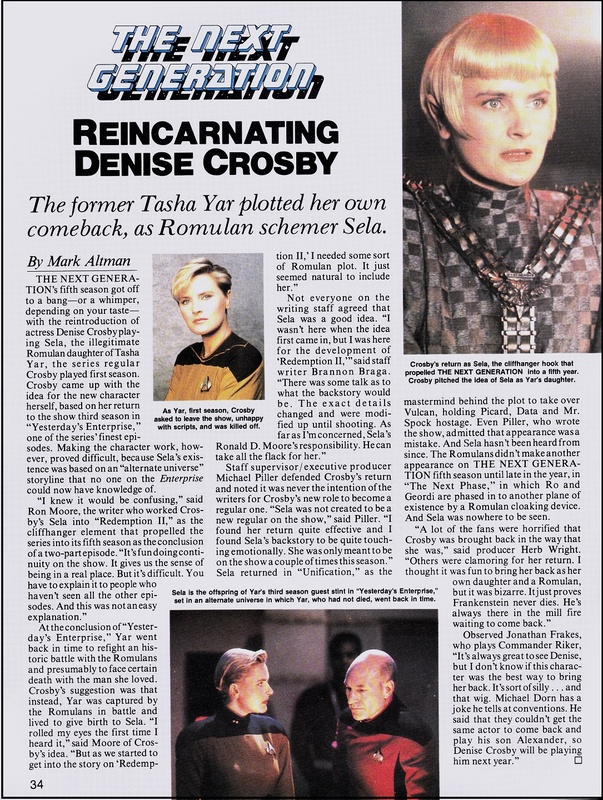 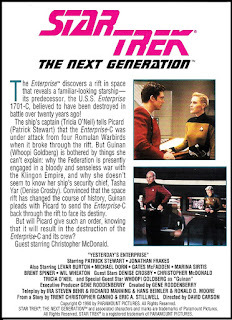 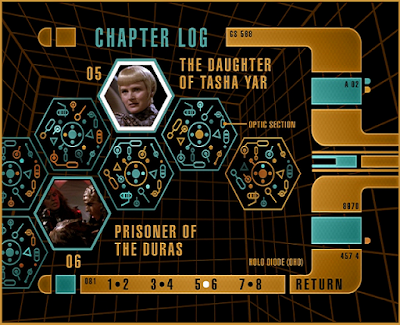 The episode marks the return of Denise Crosby as Tasha Yar to TNG after Yar originally died. 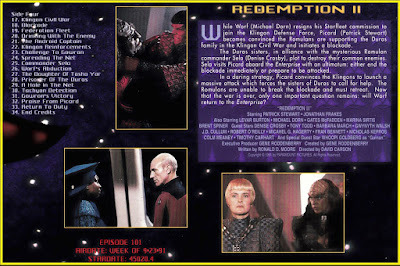 The events of the episode allowed her to return as Sela, in "Redemption II" (as well as in "Unification II"). 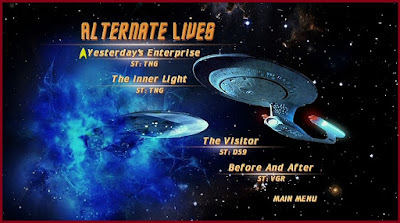 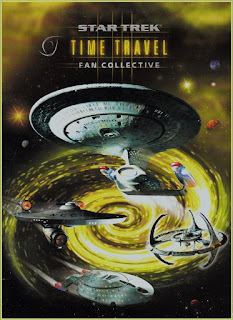 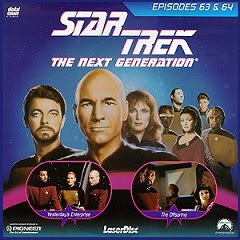 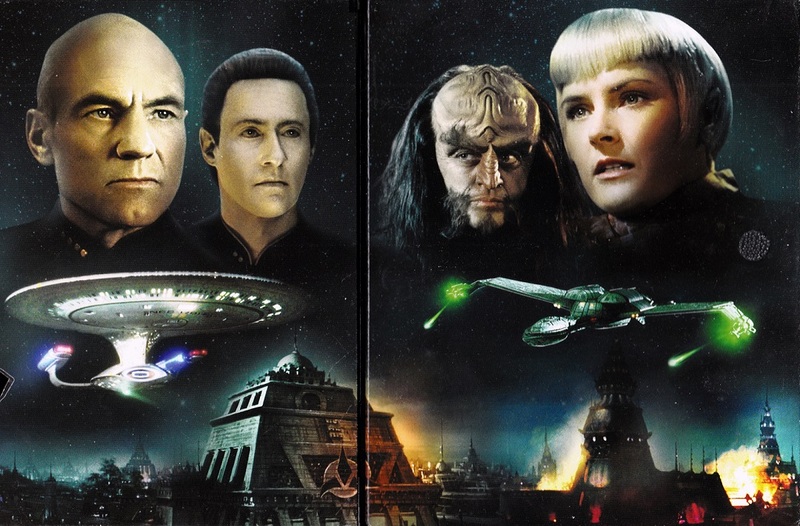 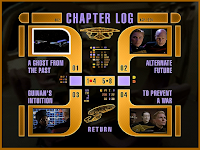 Besides the original VHS / LD release, this episode was included in 2 different Fan Collective DVD sets - Time Travel and Alternate Realities - and was also included in the Best of TNG DVD set.